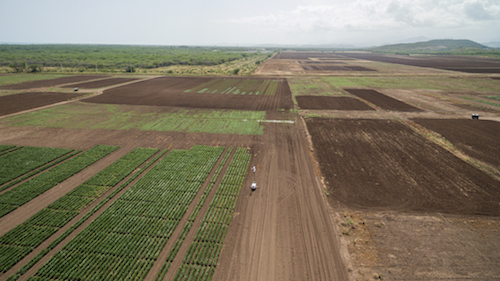 Millionaire enterprises including Monsanto, Pioneer Hi Bred and nine other multinational producers of transgenic and hybrid seeds benefited from over $519.7 million in Puerto Rican public funds throughout the last 10 fiscal years. They took advantage of corporate welfare while the country headed towards a $69 billion debt that cannot be paid to its bondholders, which prompted the enforcement of the Fiscal Oversight Board by the United States Congress. Governors Aníbal Acevedo Vilá, Luis Fortuño and Alejandro García Padilla’s administrations awarded these companies preferential tax rates, tax exemptions, industrial incentives and wage subsidies. Those wage subsidies come from the General Fund which is the money collected directly from Puerto Rican taxpayers. They also allowed Monsanto and Pioneer, for example, to receive 238 million gallons of free water from an underground water reserve in the south of the Island, between Salinas, Guayama, Juana Díaz and Santa Isabel. And so it was that 11 agricultural biotechnology enterprises found an oasis of easy money in Puerto Rico throughout 10 years of fiscal crisis, according to findings by the Center for Investigative Journalism (CPI, Centro de Periodismo Investigativo) after requesting and analyzing reports by the local Department of Treasury, the Administration for the Development of Agricultural Enterprises, the Puerto Rico Industrial Development Company and Puerto Rico’s Department of Natural and Environmental Resources. The only information available on the issue originates from the same agencies that grant benefits to the companies. During that decade of fiscal crisis, incentives were also granted to multinational companies AgReliant Genetics, Mycogen Seeds, 3rd Millennium Genetics, Syngenta Seeds, RiceTec, Bayer Puerto Rico, Illinois Crop Improvement Association, Dow AgroSciences and Dupont Agricultural Caribe Industries. Monsanto and Pioneer Hi Bred (which had its name changed to Dupont Pioneer) received benefits from the bankrupted US colonial territory in the Caribbean while their headquarters made billionaire profits worldwide. Monsanto reported a global net profit of $2.3 billion only in 2015, while Pioneer Hi Bred reported $2 billion last year, according to their respective reports for investors. 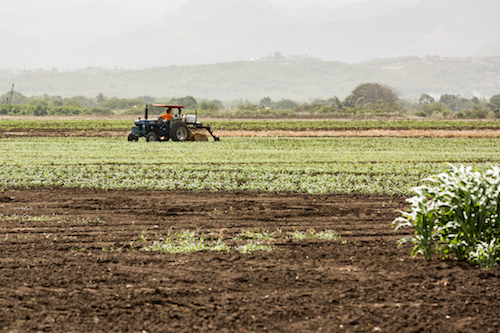 The biggest benefit the multinational seed corporations received was preferential tax rates, which represented a fiscal cost to Puerto Rico of approximately $477.5 million, according to the information provided by the Department of Treasury. The companies that did not apply for this exemption received $228,604, corresponding to a 90% exemption for agricultural incomes subject to taxes, because the Department of Agriculture considers them bona fide farmers. 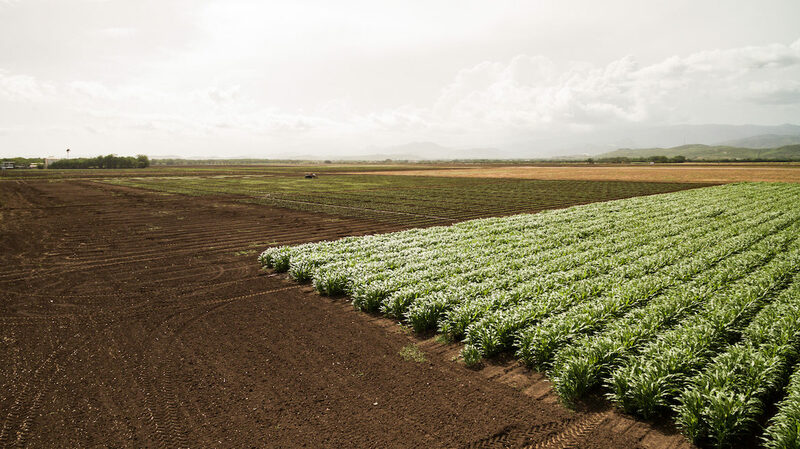 Since the agency certifies them as if they were equal to real land farmers or agriculture companies dedicated to growing and selling produce, they can also benefit from wage subsidies and free water from Puerto Rico’s water sources. The administrations from both parties—the Popular Democratic Party and the New Progressive Party—over the last decade were not the first ones to grant incentives to this sector, but they continued doing it after it had already been evident that corporate welfare did not work as a primary tool for economic development. Former governor Luis Fortuño established a public policy for the promotion and development of agricultural biotechnology enterprises in Puerto Rico, Act 62 of 2009. But agricultural biotechnology enterprises are not really the same thing as farmers. They are dedicated to research and development, a scientific and corporate activity that for the last 10 years in Puerto Rico can be summed up in the following equation: over 1,694 experiments to develop genetically modified corn (55%) and soybean (37%) seeds, according to an analysis of the testing licenses granted by the U.S. Department of Agriculture. The seed corporations mainly sought to create plants that are genetically modified to survive after the application of herbicides (62% of the experiments shared this characteristic.) These transgenic seeds are useful for agriculture producers who own large territories dedicated to only one crop. When the herbicide is applied, all other plants die except the transgenic ones, so they don’t have to spend time clearing out weeds. Throughout the decade of fiscal crisis, the Island has been a corporate welfare paradise for these companies. Then biotechnology enterprises send the first generation of seeds to their headquarters outside the island, where they are reproduced on a large scale and sold around the world. The crops are destined to be food for humans and livestock, or biofuel. They are also used to manufacture items, from car tires to rugs, as stated by Beatriz Carrión, Executive Director of Puerto Rico Agricultural Biotechnology Industry Association (PRABIA), which represents seven seed corporations. “We don’t have to take only food into account. We have to supply everything the world around us requires. We are providing alternatives and developing cutting-edge technologies in Puerto Rico,” Carrión said. “We’re talking even about soap, everything we use and consume. Even makeup contains corn and soybeans”, she added. The Department of Agriculture has a double standard to measure these enterprises, which profit both ways. 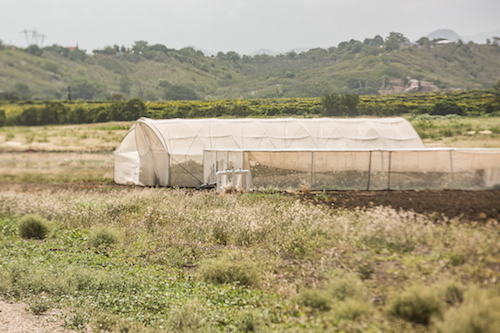 While they are certified as bona fide farmers who can receive benefits, they’re also considered non-agriculture companies, which allows them to control more than the limit of 500 acres, which is what a foreign farmers can hold in the island, according to the Puerto Rican Constitution. The government itself, through the Land Authority rented 768 acres in Juana Díaz to Monsanto Caribe LLC in 2014 under a five-year contract. The Land Authority justifies this with an opinion from former Secretary of Justice Guillermo Somoza Colombani, who had decreed that these enterprises could rent more than 500 acres because biotechnology could not be considered an agricultural activity. “It is rather an activity primarily scientific in nature, whose results are not available for immediate consumption,” explained Somoza in an opinion issued in 2012 after an inquiry from the Puerto Rico Industrial Development Company. Current Secretary of Justice César Miranda—third-in-command in the Puerto Rican government and member of the economic recovery task force that is working with the public debt—assured that Somoza’s opinion is upheld under his administration. The CPI asked his opinion about the government granting bona fide farmers benefits to multinational companies that are not dedicated to agriculture. In a written declaration, Miranda pointed out that the legal definition of agricultural biotechnology is not mutually exclusive with the definition for “someone dedicated to agriculture,” and that it is up to the Department of Agriculture to evaluate whether they will grant wage incentives. In a prior interview with us, he had expressed himself to the contrary. “If that enterprise—the same enterprise which was understood not to be carrying out an agricultural activity—is granted tax incentives or wage subsidies ordinarily granted only to enterprises undertaking agricultural activities, then they would be wrongly granted,” Miranda had stated. As a matter of fact, Monsanto Puerto Rico received $9.7 million in wage subsidies over the last 10 years, according to the Administration for the Development of Agricultural Enterprises (ADEA, for its Spanish acronym), while Monsanto Caribe rented the 768 acres of public land. They are different legal entities in Puerto Rico’s Registry of Corporations, although they work under the same economic strategy in their headquarters in Missouri. These companies get free water from the country’s southern water sources. Monsanto Puerto Rico received wage subsidies even though it was not in compliance with the State Department for failing to submit its financial statements. That is why former State Secretary and current Popular Democratic Party’s gubernatorial candidate David Bernier, canceled the corporation in May 2014, as dictated by the General Corporations Law of Puerto Rico. Nonetheless, ADEA granted $1,271,763 in wage subsidies to the aforementioned enterprise in the fiscal year 2015, according to the agency reports. In 2012, the Puerto Rico Industrial Development Company granted Monsanto Caribe $800,000 in industrial infrastructure incentives for their facilities in Juana Díaz. In 2013, the same agency amended the fund disbursement contract and transferred these incentives to Monsanto Puerto Rico. For the Puerto Rico Industrial Development Company the two faces of Monsanto were equally good enough. On several occasions, the CPI requested an interview with Monsanto officials in Puerto Rico to ask about the incentives they received, but the company declined. How does this business benefit Puerto Rico? Why does a bankrupt territory have to grant these incentives to multimillionaire multinationals? “We want to guarantee the permanence of our enterprises in Puerto Rico through cost-efficiency. We will have a multiplying effect and we are creating direct and indirect jobs. We are one of the primary employers in the south (of the island). The people we hire are those who can shop in supermarkets,” claimed Carrión. “It is extremely important that the government support the permanence of agricultural biotechnology and all of its companies in Puerto Rico, because it is what allows for socio-economic development,” PRABIA chief added. She also mentioned that the sector keeps technical and educational collaboration agreements with the Mayagüez campus of the University of Puerto Rico and the Pontifical Catholic University of Puerto Rico in Ponce. She insists that the sector’s main contribution has been the creation of 3,385 direct jobs. On his part, economist Ramón Cao differs from this appraisal. “It’s an important amount, but at what cost? Each employment represented an annual fiscal cost of $15,354 which is approximately the minimum yearly wage for an employee,” he pondered. “At that fiscal cost, they could have hired about 2,000 teachers a year, including employee benefits. Something that has been obvious for decades is that Puerto Rico’s economic development strategy, which was very successful under immediate post-war conditions, is obsolete”, he pointed out. Precisely those jobs created by seed corporations in the island are paid for in part by public funds. ADEA granted $37.2 million in agricultural wage subsidies to seed corporations over the last 10 fiscal years. Those funds were reimbursed to farmers for a total of $2.72 per hour of work paid for unskilled labor. The purpose of the Law 46 of 1989, which created the wage subsidies, was for workers to earn a minimum salary of $5.25 per hour in agriculture activity, to help them stay in an industry that has had difficulty acquiring farmhands. The million-dollar agricultural biotechnology enterprises, regardless of incentives have to pay its workers the minimum federal wage of $7.25 per hour because they engage in interstate business. Bona fide farmers receive wage subsidies of up to 408 hours paid to their workers per trimester. According to their finance division, ADEA reimburses seed corporations a maximum of 300 hours per trimester, which means that it established differences with agricultural biotechnology to grant subsidies. “Now they are 108 hours under, compared with the rest of the industries. Depending on the budget, this could be decreased again in July. But in my estimate, they create about 3,000 temporary and permanent jobs a year in the south, which is one of the areas of highest unemployment in the island. That is the dilemma,” remarked agronomist Francisco Gascot, director of incentives for ADEA. “We made cuts for the seed corporations because they’re the ones with more capital, and they can withstand the cut. They have higher payrolls, and that’s where we have to start,” added Héctor Berríos, director of finances at ADEA. “To stop it altogether, it would have to be a legislative matter, amend the law,” he specified. Carmen Oliver, assistant secretary of the Department of Agriculture, pointed out that the current agency administration has had not changed the law. These wage subsidies are not the only jobs at seed corporations paid with public funds. From 2011 to 2015, the Puerto Rico Industrial Development Company granted $4.2 million in industrial incentives for infrastructure and employment growth. Seed corporations can also receive tax exemptions when they purchase agricultural equipment, property exemption with the Municipal Revenue Collection Center, and municipal tax exemptions. Out of the six corporations who have franchises to extract water from the southern water sources, Monsanto Caribe and Pioneer Hi Breed extracted 238 million gallons in the last 10 years, according to reports from the Department of Natural and Environmental Resources. If they hadn’t been considered bona fide agriculturists, they would have had to pay $476,389, which is the industrial cost for this amount of consumption. The water sources in the south have been in trouble because of “over-extraction” and lack of rain. “When you start subtracting everything we give these enterprises, including the free water and its possible environmental consequences, their net benefit for our island seems small,” stated Argeo Quiñones, professor in the Department of Economics of the University of Puerto Rico. “Those efforts could be in better hands, to produce food for Puerto Rico and decrease our food dependency. This is a highly subsidized multinational model that brings minimum benefits,” he remarked.